Example found on 02/05/2019 12:13 PM o'clock. If you choose a different rental period, the price can deviate from the example. This offer was found on 02/05/2019 12:13 PM. Tried out happycar for the first time, wasn’t disappointed. Adelaide Airport is the principal airport serving Adelaide and much of South Australia, and enjoys its status as fifth busiest airport in the country with just under 7.5 million passengers passing through each year. The airport has won a number of awards, including being named the world’s second-best airport in its class and Australia’s Best Capital Airport multiple times. 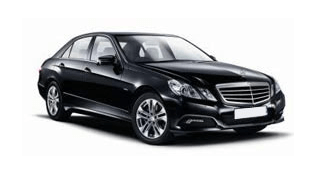 HAPPYCAR offers various attractive options for an Adelaide airport car hire so that wherever you decide to go, your stay in Australia is stress-free from day one. We check the prices of international and local providers so that you don’t have to check each website to provide you with the best deals to make your money go further on a rental car that fits your specific vacation needs. HAPPYCAR allows you to choose the car size, the pick up location and the type of insurance so you can get the est deal on a car tailor made to your vacation! The first Adelaide airport was an aerodrome, constructed in 1921. As aviation began to take off, the airport was increased, with the current incarnation opened in 1954. From 1982, an international terminal was constructed, and flights to the Eastern Hemisphere began to build momentum. In 2005, a new dual-use facility was built to replace both the domestic and international terminals. The airport terminal was built to a world-class standard and was a first in Australia to have free WiFi throughout the facility. There is also a large range of food and shopping options available at the facility, including some unique South Australian brands. The location of the airport, a mere 3 miles west of downtown Adelaide, means that you can immediately take advantage of the excellent road network with a car rental Adelaide airport and through into Australia, a dazzlingly diverse country that features stunning scenery and multicultural melting-pot cities. Driving in Australia is mandatory as the distances can be great, and as things are largely spread out in the area, taking a car hire Adelaide airport is widely seen as a sound and more affordable option. Settled entirely by free settlers since its founding, Adelaide offers stylish architecture, boutique shopping, sandy swimming beaches and some of Australia’s best cafe strips. This is extended into South Australia, whose political and cultural innovation has shone brightly for a long time and is well known for its wines. You can also easily access roads that lead into the rest of Australia and on to all the major cities in the area, such as Melbourne, and Sydney further on, with a speed, convenience and personal freedom that public transportation just can’t beat. There is so much to see in this part of the world, and a car hire Adelaide airport can help make this journey a reality.